Boyd Exell is back on track after winning the fifth qualifier of this season’s FEI World Cup™ Driving in Geneva. Exell was too strong for IJsbrand Chardon and Tomas Eriksson and claimed his only victory rewarded with World Cup points this season. This is Boyd Exell’s third victory at Geneva’s Palexpo after his win in 2008 and the series’ Final last April. After his wild card wins in Hannover and Stuttgart for which he did not receive World Cup points, Exell claimed ten points in Stockholm where he came second behind wild card driver Tomas Eriksson. In Budapest, it was Switzerland’s Werner Ulrich who beat the Australian World Cup and World four-in-hand Driving Champion. 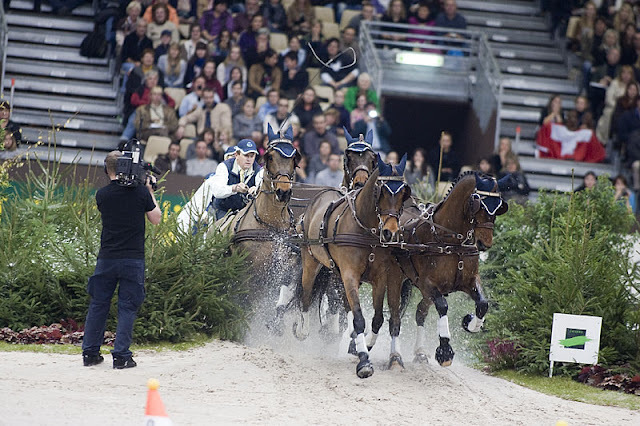 Thanks to his victory in Geneva, Exell has taken over the lead in the standings and has secured his ticket for the FEI World Cup™ Driving Final in Leipzig at the end of April 2011. Exell will start once more this season in Mechelen, Belgium, where he will compete with his third wild card for the season. Boyd Exell competed with the same four horses in all five competitions he has done so far. The Britain-based Australian title holder has been travelling with seven horses in order to be able to replace one if any injuries occurred during the long trips between World Cup events. But the geldings, which on average are 17-and-a-half years old, went faster and faster at every competition. Boyd noticed this in Budapest last week and cut down their feed supplies to help them slow down. IJsbrand Chardon drove his marathon carriage for the first time since Kentucky. The carriage arrived only two weeks ago and the carriage manufacturers took two days to replace the break line, change the break oil and replace the covers of the pole and cushions, which were damaged in Kentucky before he started in the marathon. This gave Chardon confidence to go for it in Geneva with his team of Lipizzaner horses. Although Chardon tried very hard, the four-time World Champion lacked the necessary speed in the Winning Round to put Boyd Exell under pressure. Exell scored a top time in an easy looking superbly driven round and left the arena knowing that it would be quite a challenge for last starter Tomas Eriksson to beat his time. Eriksson, who drove the same team as during his win in Stockholm using one outdoor marathon horse, went too fast and made two mistakes. This made him drop to third place, but with one more FEI World Cup™ Driving competition to go, Eriksson still has a chance to make it to the Final. Switzerland’s Werner Ulrich received a wild card and came fourth in front of his home crowd. Ulrich had made a mistake on the first day, which caused him to somewhat lose confidence. The 16-time Swiss Champion went much better today and even got a little too confident which slowed him down. However, Ulrich enjoyed driving in Geneva and used the opportunity to give his team additional practice. The second wild card for Geneva went to Thibault Coudry from France. Coudry drove the same team of horses with which he had won the FEI World Cup™ Driving competition in Bordeaux earlier this year with a wild card. With his Polish warm blood geldings and one French trotter, the 30-year old farmer and lorry driver came in fifth. Daniel Würgler started off very well in Budapest last week during his first competition for the season, but made a mistake in the second marathon obstacle in Geneva, which cost him precious seconds. Würgler ended in seventh place, behind Zoltan Lázar of Hungary. Lázar has not been very lucky this season and was unable to qualify for the FEI World Cup™ Driving Final in Leipzig. The 2010/2011 FEI World Cup™ Driving series now moves on to Mechelen, Belgium on Thursday, 30 December 2011. 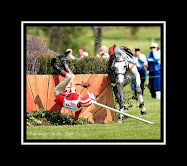 For information on the next leg go to www.jumping-mechelen.com or contact Press Officer Edith de Reys, phone: +32 475 659281, e-mail: edith.dereys@skynet.be. FEI World Cup™ Driving has entered its 10th season. The series, created in 2001, today comprises seven leagues. The best six drivers from seven preliminary competitions will qualify for the final in Leipzig, Germany which takes place from 27 April-1 May 2011. 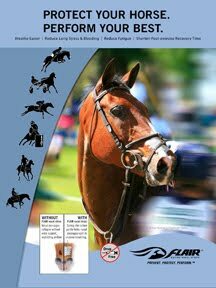 The Federation Equestre Internationale (FEI), founded in 1921, is the international body governing equestrian sport recognised by the International Olympic Committee (IOC) and includes 133 National Federations. Equestrian sport has been on the Olympic programme since 1912 with three disciplines - Jumping, Dressage and Eventing. It is one of the very few sports in which men and women compete on equal terms. It is also the only sport which involves two athletes - horse and rider. The FEI has relentlessly concerned itself with the welfare of the horse, which is paramount and must never be subordinated to competitive or commercial influences.